So your Member of Parliament might have had their parliamentary email account hacked? Indications are however, that this “brute force” attack might have compromised less than 1% of accounts, which is good, unless you’re affected by the 1%. Apparently, the common theme to the accounts that have been breached is poor adherence to password protocols by the owners of those accounts. 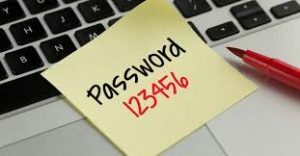 How good are the staff in your business and do your company’s password policies help or hinder them in making your business safer? Yet again such incidents reinforce the point that something like 90% of cyber breaches are rooted in the human element of an organisation. Cyber Security is not solely the preserve of the technology you employ and therefore your IT department and companies which kick the issue down the corridor too the Head of IT / CTO or if outsourced, their IT consultants are more than likely missing a trick. The perceived wisdom from the UK Government and organisations such as the NCSC, IoD and FCA is that this is an overarching business issue, rooted in the business’s strategy and therefore the responsibility of the Board not IT. For further help and guidance, whether its testing your staff’s compliance with company password policies or the review, updating and implementation of appropriate policy, contact us.